Muy caliente! LivingTru is proud to feature one of the hottest Latin duos out there, “Neftali Rosado Jr. & Fernando Wilkins Jr.” They are also one of the first Latin groups to grace our site! 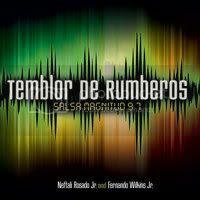 Rosado & Wilkins play original up-tempo dance music that infuses the Latin sounds of Panama and San Francisco. So, on that note, lets get started with this "ONe-On-1" exclusive and much anticipated interview with co-founders of Temblor Productions, Neftali Rosado Jr. & Fernando Wilkins Jr.! This interview has been a long time coming, Lol! Thank you for allowing us to get up close and personal with you! Thanks for having us (Ari)`! We are excited about both this interview and our debut single “Temblor De Rumberos!” The response to the single has been awesome! Cool! It’s a good feeling of accomplishment when people recognize you for good work that you do! Lol! Where do you get your music influences, what do you do, and what are your objectives? I can understand that! That’s where the stories come from in music, “tru” life experiences! Yes, that was definitely a plug! Lol! How long have you been musicians? 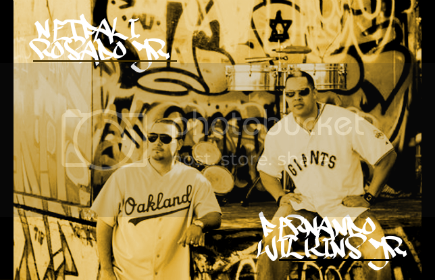 We have been playing music for a combined total of 20 years on the San Francisco Bay area salsa scene. Have you always wanted to perform professionally? No, at first our goal was to get into the local salsa club circuit. After performing cover songs for a while we felt the need to compose and perform our own original material. Salsa music is very energetic! I come from a mixed family that includes Latinos and when we get together to Salsa or Merengue it is tiring, but so much fun. Lol! Did you come from a musical household, if so, what was it like growing up? Yes, we come from a family of Panamanian and Puerto Rican background where music is our culture, and a part of every day life. I feel it! What is some of the best advice your parents have ever given to you? To set and achieve our goals, stay away from all of the negative influences, such as, drugs and alcohol. That’s great advice! You gotta have all your senses to do a great job! I’ve listened to your music, and the beat is so exciting that you can’t help but want to dance! What is it that you would like the world to know about you and your music? We want the world to know that our music is for everyone and that it has no boundaries! We bring joy to people who both listen to and dance to our music. Yes! Joy should be contagious and that’s what we try to spread through LivingTru! Let’s make it universal! Lol! Where do you see yourselves, musically, 5 years from now? We see ourselves finishing a second project and being recognized internationally as recording artist. What do you consider “Positive Energy” to be? Positive energy is surrounding yourself with people who share the same visions and goals; maintaining respect for others while being humble, driven and professional. I agree, humility is very important when trying to spread that positive vibe! Lastly, what role does God play in your life? God is the prominent role in our lives. Without Him nothing is possible. Be sure to connect with Neftali and Fernando on their website! Excellent studio work on this song, this is a professional piece of work! Good music gives people something to relate to, and makes people-dance, that's what this track does for me. 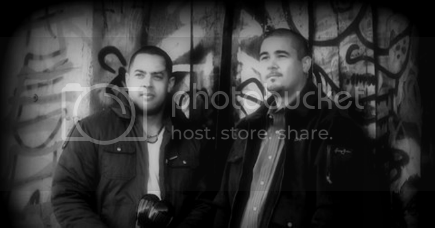 Good collaborating artists and way to represent Bay Area Salsa Music, you guys are original. Love the single, if you Salsa dance this single will certainly get you on your feet. These two Salseros make the Bay Area proud. Great Job!! !